UPPER Swan residents are concerned plans for a high-density housing development in their “quiet” neighbourhood will be a risk to “public safety”. 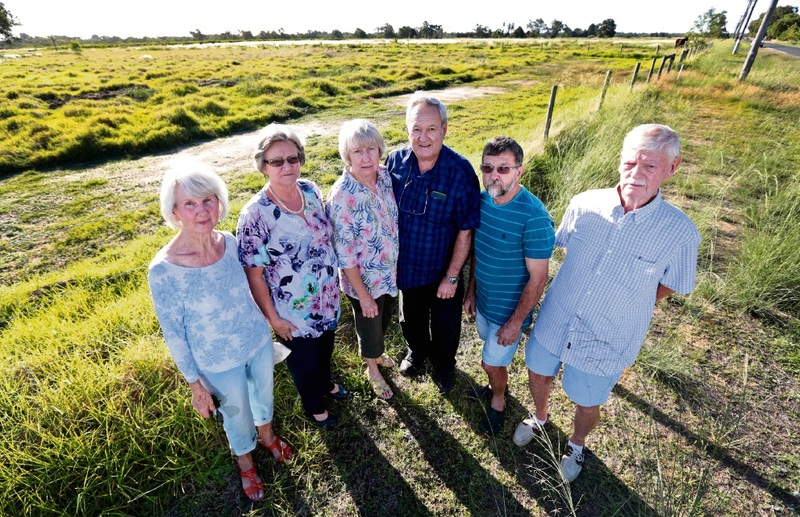 The residents, who have all lived in the area for more than 30 years, said the proposal for an estimated 1646 residential lots between R10 and R60 densities, a primary school, shopping facilities, an oval and parks to be built on Railway Parade, Apple Street, Orange Avenue and Rose Street in Upper Swan would directly affect current residents. City of Swan councillors recommended in a council meeting last week that the WAPC not approve the proposal until changes could be made to the structure plan. Anne Macpherson said the area could not manage with the level of traffic the proposal would create. “The amount of traffic this will create will be a public safety issue,” she said. Ann Whinchester said the risk to lives in a bushfire was a serious concern under the proposal. “There are three exits north out of the subdivision, according to the structure plan. What happens in the case of a bushfire, with around 2000 people trying to evacuate?” she said. Keith Gillinder, another resident, said traffic would be a nightmare if the proposal went ahead, with traffic coming down his driveway. “Anti-social behaviour and crime will be an issue when this development gets underway, not to mention for 10 years we’ll have to deal with dust, noise and rubbish while it’s being built,” he said. Peggy and Gordon Collyer moved to Upper Swan in 1974 after moving from England. Mrs Collyer said the area had been a “peaceful” place to live. “We are in our late 70s and we wanted to live our life in peace, but what do we do now?” she said. The structure plan received 49 objections out of a total of 60 submissions. According to a City of Swan report, Main Roads WA, the Department of Transport (including comments from the Public Transport Authority), Department of Fire and Emergency Services and Department of Parks and Wildlife made submissions and all raised concerns with the proposal. Satterley general manager for development Kim Lawrance said a detailed traffic impact assessment had been carried out and showed the existing and future road network could accommodate project traffic. “The main entry point in and out of the estate will be Apple Street and Great Northern Highway and the traffic impact assessment has shown that the intersection will need to be upgraded to cater for additional traffic movements,” he said. Mr Lawrance said there would be “enormous” benefits to the new community, with playgrounds, walking trails, schools and a shop. But Ms Whinchester said the development would have no benefit to current residents. “We won’t have access to gas or the nbn and we don’t need a school or an oval – we need an aged care facility,” she said. “I think the fact there is a proposed roundabout for Great Northern Highway, which is a main highway servicing road trains, is ridiculous and another safety concern,” she said. Mr Lawrance said the design of the intersection would be the responsibility of Main Roads. A Main Roads WA spokeswoman said: “Main Roads acknowledges the concerns regarding additional traffic demands that this area will generate.